There are two types of outpatient programs offered on weekdays between 9 a.m. - 2 p.m.
• Partial Hospitalization - Clients attend five days per week, with each program day lasting 5 hours. • Intensive Outpatient - Clients attend up to four days per week, with the program day ranging from 3-5 hours. The BMWC accepts self-referrals, as well as referrals made by health care providers, mental health agencies and employee assistance programs. The cost of the program is covered by most insurance plans and Medicare. 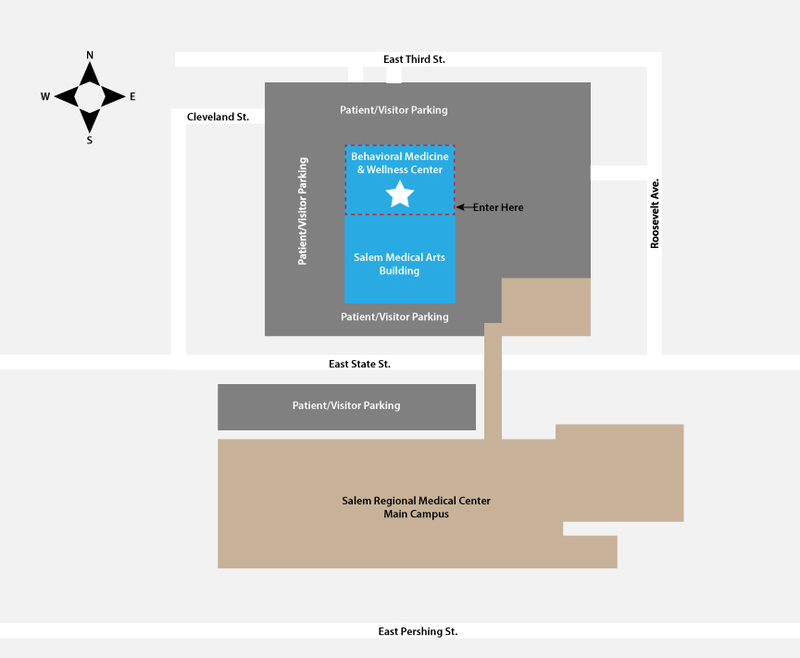 The BMWC is located across the street from Salem Regional Medical Center's main campus in Suite J of the Salem Medical Arts Development, 2020 East State Street in Salem.